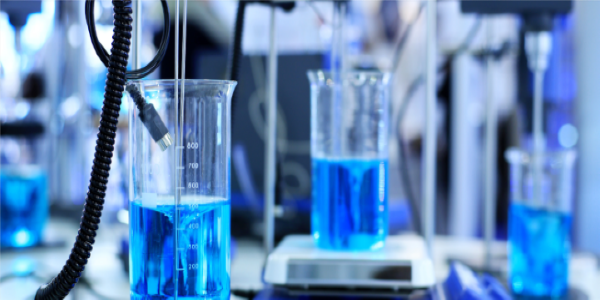 Merck threw out some assets a few years ago when it did its mega-merger with Schering-Plough. Now we can see that some savvy investors think it might have tossed aside a valuable cancer immunotherapy. 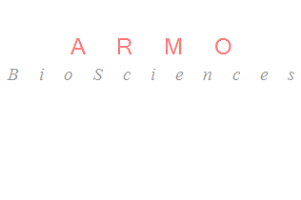 Armo BioSciences is the name of the startup in Redwood City, CA that is emerging from stealth mode today to say it has started its first clinical with a treatment designed to stimulate the immune system to fight cancer. The company, formed last December and with 11 employees today, has pulled in $20 million in a Series A venture round. The investors include Kleiner Perkins Caufield & Byers, OrbiMed Advisors, and DAG Ventures. The CEO is Peter Van Vlasselaer, an immunologist by training involved in the early days of Dendreon, the first-generation immunotherapy company. He later made money for Kleiner Perkins by leading Arresto Biosciences to a $225 million acquisition by Gilead Sciences. The big idea is a new twist on an old idea. Armo is developing a genetically engineered form of a polypeptide called Interleukin-10 that has long been thought to have broad anti-inflammatory properties against a variety of diseases. More recently, researchers have seen it can activate “killer” T-cells of the immune system that express a marker called CD8. The Armo molecule traces its origins to the former DNAX Research Institute in Palo Alto, CA, which later became part of Schering-Plough, then Merck. The drug candidate has been tested in thousands of patients in clinical trials, but never achieved a statistically significant benefit, Van Vlasselaer said. The difference now, he said, is that Armo has attached a pegylated polymer to the drug to make it last “a few days” in the bloodstream instead of just a few hours. Preclinical research says that the new feature allows the drug to sustain blood concentration levels that truly rev up the production of the desired “killer” T cells, which are usually rare and dormant, but which can seek and destroy tumors when activated. This product candidate called AM0010, which could come in a convenient injectable drug just under the skin, is coming along during a year of renewed enthusiasm for cancer immunotherapy. The American Society of Clinical Oncology meeting was dominated this year by news about antibodies from Bristol-Myers Squibb, Merck, and Roche/Genentech that work against a tumor-cloaking mechanism called PD-1 and PD-L1. Those antibodies, and others in the pipeline, are showing they work for large numbers of patients, with multiple kinds of tumors, and they provide long-lasting immune responses directed at the tumor—all with fewer side effects than the usual chemotherapy or radiation. The excitement in immunotherapy has helped lift the fortunes of a few startups, including Cambridge, MA-based Jounce Therapeutics, and Seattle-based Immune Design. What’s different about Armo? It’s the only company with an IL-10-based therapy, Van Vlasselaer said. Besides Van Vlasselaer, Armo was co-founded by John Mumm, an immunologist, and Martin Oft, a medical oncologist. Mumm and Oft had worked together for years on the program at Merck and Schering-Plough through its ups and downs, Van Vlasselaer said. The drug had been through a variety of trials against psoriasis, rheumatoid arthritis, Crohn’s disease, and hepatitis C. Over the years, it was upstaged in a few of those conditions by anti-tumor necrosis factor (TNF) antibodies, and other meds against hepatitis C. It was also plagued by a short half-life. Although it was a tough sale internally, Mumm and Oft believed the drug’s potential for cancer and other indications, like fibrosis and cardiovascular disease, once it was put in a longer-lasting pegylated form. “These guys probably have more understanding of IL-10 and IL-10 biology than anyone one on the planet,” Van Vlasselaer said.